We are a proud Pennsylvania State Inspections and Emissions Testing center. We also perform all vehicle services including oil changes and check engine light diagnostics. You can feel confident bringing your car into our shop because all repairs and services are backed by a 2 year/24,000 mile warranty! Whatever issue your vehicle experiences, bring it into the best Doylestown auto repair shop! The quality ASE certified Doylestown auto repair technicians at Martino’s Auto Center use the latest automotive technology and are equipped to handle all major and minor repairs on foreign and domestic vehicles. 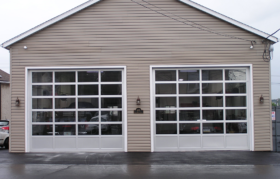 At Martino’s Auto Center, we are proud to be a full service Doylestown auto repair shop. Since 1975, we’ve been providing top quality auto repairs and service for all makes and models of vehicles. If you are looking for honest and reliable Doylestown Auto Repair, our team of mechanics are here to help! Here are links to some of our most popular auto services: Brake Repair, Oil Change, Engine Repair. Give us a call for all of your auto servicing and preventative maintenance needs. 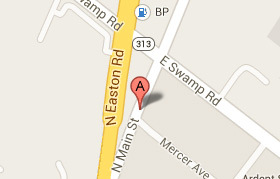 So if you are looking for a Auto Repair in Doylestown, PA, call us today to learn more about how we can help you. Once again service provided was excellent. Or car was ready when promised and all work was thoroughly explained. 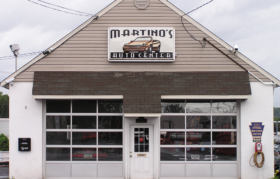 Martino’s is a very honest shop with highly qualified mechanics who take great pride in their work. I recommend all my friends to go their for routine and complex repair work.